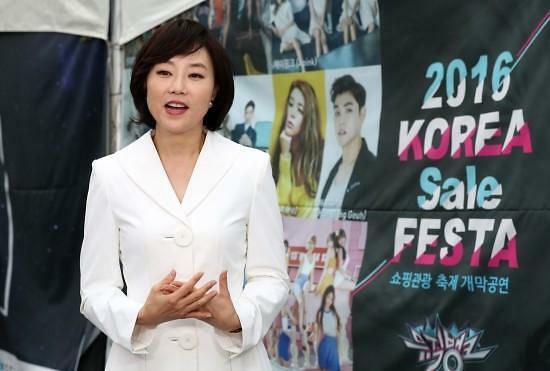 Culture Minister Cho Yoon-sun, 50, has surged to fame as one of South Korea's most successful and envied career women, basking in the reflected glory of President Park Geun-hye who picked the smart and dandyish lawyer-turned-politician as a brain truster. Now she is put in prison, waiting for trial, after being engulfed by her own lust for power so much that her perfectly successful career may crash-land. Cho shared in the bounty of Park when she became South Korea's first female president in early 2013, and it was Park who has dragged the career woman wannabe into a pit of shame and disgrace. The minister's glory came to a humiliating end Saturday when she was arrested for her alleged role in creating and managing a government blacklist including thousands of artists and cultural figures regarded by Park's conservative administration as anti-government. Cho became the first incumbent minister to be jailed since Park took office in early 2013 as South Korea's first female president. 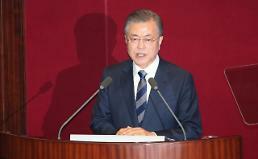 The minister offered to resign and Prime Minister Hwang Kyo-ahn, who serves as acting head of state, said he would accept her resignation. The list triggered widespread public anger especially from cultural, music and art communities, as it allegedly included many famous and respected figures such as director Park Chan-wook, who won the grand prize at the Cannes Film Festival in 2004, and Han Kang, a fiction writer who won the 2016 Man Booker International Prize for her novel "The Vegetarian". Han, one of South Korea's most renowned writers, was featured extensively last year in "World Literature Today," a bimonthly magazine published by the University of Oklahoma. Also on the list is Ko Un, a poet imprisoned many times for pro-democracy activities and routinely mentioned as a candidate for the Nobel Prize in Literature. Cho was charged with abusing authority and perjury as part of an investigation into a corruption scandal involving Park who is on trial at the constitutional court after being impeached by parliament. The disgraced minister is accused of making false statements during a parliamentary hearing. "The creation and execution of the blacklist severely infringe upon freedom of thought and expression," Lee Kyu-chul, spokesman for a special investigation team, said earlier. In a male-dominated society, she has been considered one of the most successful career women after living a wealthy life as an attorney at Kim & Chang, the largest and most influential law firm in South Korea. She once went to a law school at the University of Colombia to complete a master's degree in law and served as a vice president of Citibank Korea in charge of law affairs. Not satisfied with a lawyer couple riding high in the judicial community, Cho started her political career as spokeswoman for a presidential election camp in 2002. 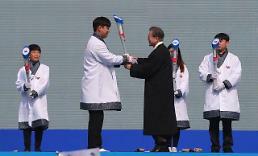 Dubbed Park's right-hand lady, taking care of her chores, Cho served as senior presidential secretary for political affairs from 2014 to 2015 and finally became a cabinet member in August last year.